1.Mom/Dad/Grandparents & me: Simple competitions based on phonics, numeracy and other curriculum themes are an endeavor to engage Deens Families in school activities. It is endearing for teachers and the school staff to watch the enthusiasm with which parents prepare and take time out to spend quality time with their ward at school. Puzzles with Dad, Phonic dumb charades with Mom are examples of theses competitions. We also have discovery with Playgroups which families participate in as a unit. Ramp walk with Mom and Dad is held for Toddlers. 3.Sports day: Children compete in themed races and drill displays for sports day each year. Bi-Annually it is a grand event in which Parents and extended families are invited to view and encourage children. 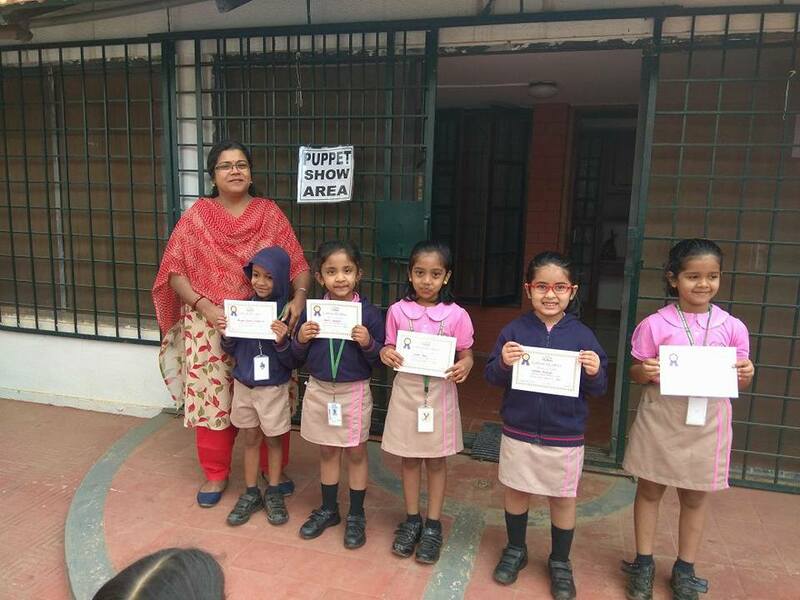 4.Inter-school events: Our children have participated in various inter-school events for Kindergarten children. Every year our children win accolades which make us proud. Our school hosts a large inter-school event Volksfiesta every year. This includes kindergarten event in which over 12 schools participate. As host school, we don’t participate our children but they perform the demo that serves as a benchmark for other children to compete.